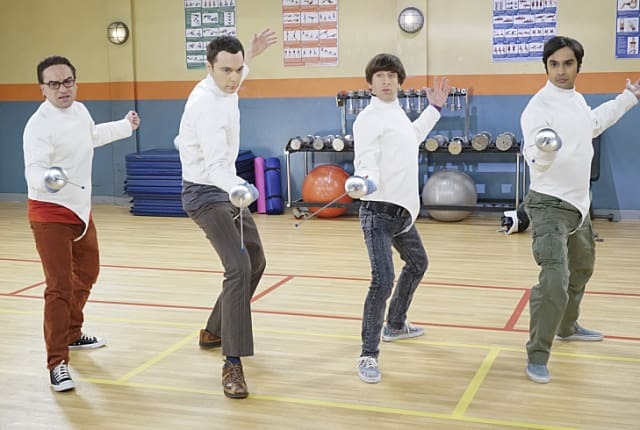 Watch The Big Bang Theory Season 9 Episode 5 online via TV Fanatic with over 6 options to watch the The Big Bang Theory S9E5 full episode. Affiliates with free and paid streaming include Amazon, iTunes, Vudu, YouTube Purchase, Google Play, and Verizon On Demand. You had me at flag, lost me at football. Permalink: You had me at flag, lost me at football. Penny: Leonard, sweetheart, you twisted your ankle playing Scrabble. Leonard: I got a triple word score with a double letter Q. If that's not a time to bust out the Scrabble dance, what's the point of having one?